We knew it was coming, but when would that be? We waited, and waited, then shouted with glee! How long could I last, without a new song from Il Volo? We then heard the news, it was on Amazon.IT! There I went with my visa, to order it quickly! Hoping and praying, it would not be delayed! Three weeks and counting, how much more can I bear? I kept watch on my email, when would it be there? Singing their hearts out, while everyone cheered! I read in my mail; the CD would be early! I jumped up and down, how lucky am I? I’ll have it soon in my hands; I could just cry. I waited and paced, for the delivery all day. I tracked it online, it came straight from Milan. On to Bergamo and Brussells, then finally MY town! I raced home to get it, but it was not there? DHL had not come yet – how much more could I bear? I went to the store, to pick up my dinner. They had til 8pm, then there was a knock at my door! It was here, finally, at last, it was here! I’m sorry, but I could not wait to open it, I fear. Staring lovingly at my hand, so wishing they were there! I listened and listened, and listened again. Over and over I played it, I did not want it to end. I can listen again tomorrow, for I know it will keep. 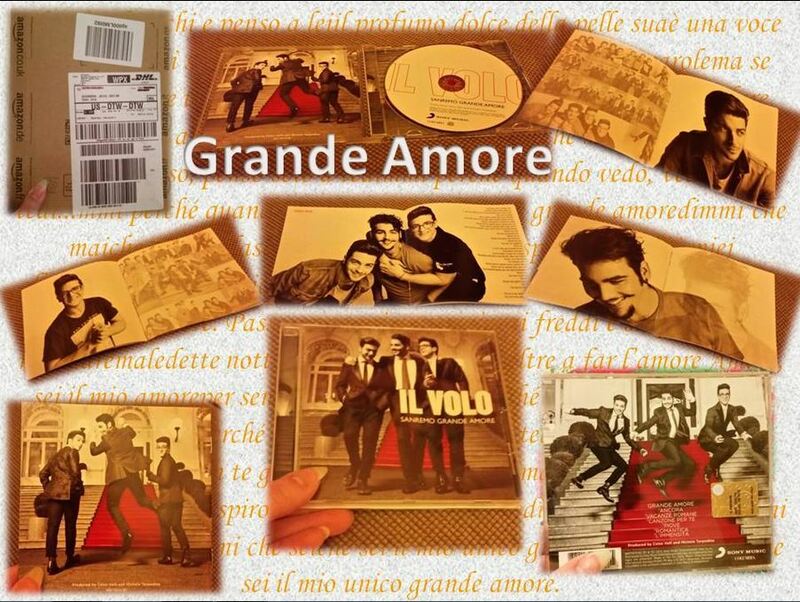 Il Volo is love, Grand Amore, to be exact! The heck with all the critics, they are just hacks! And know that we give them our tender loving care! For info on the Panama youth day vigil tonight 6:30p Panama time and Mass tomorrow, scroll all the way to the end. Hi #ilvolovers! We are almost ready! We promised you a 2019 full of surprises and start immediately! On February 22nd our new album “Musica” will be released, and shortly we will communicate in the stories the link to the PRE ORDER AVAILABLE FROM TODAY on Amazon. We are leaving for Panama, tomorrow we will sing for the Pope, the emotion is great and in these days we can not think of anything else, but as you know, we are preparing for another important event … Sanremo festival and we can not wait to present the single “Musica che resta” on the stage of the Ariston! Yes, you got it right, the new CD, the CD of pop-lyric music, will be released on February 22nd. In it, is the new song that will be presented at Sanremo MUSICA CHE RESTA will also be contained. For now you can pre-order on Amazon. This will be a month full of events, the Sanremo Festival is getting closer and closer. Meanwhile, the cities of our boys begin to encourage. “It would be nice that all the Narese would share this post in the Facebook profile since our fellow citizen Piero Barone brings ever higher our beloved city of Naro. Musica Che Resta is a song by Il Volo. It is the song with which they participate in Sanremo 2019. For the trio this is the second time on the stage of the Ariston, after the victory of Sanremo 2015 with Grande Amore. This is the beautiful banner hanging above the bar in the middle of the square of Montepagano !! The inhabitants of Gianluca are really nice. 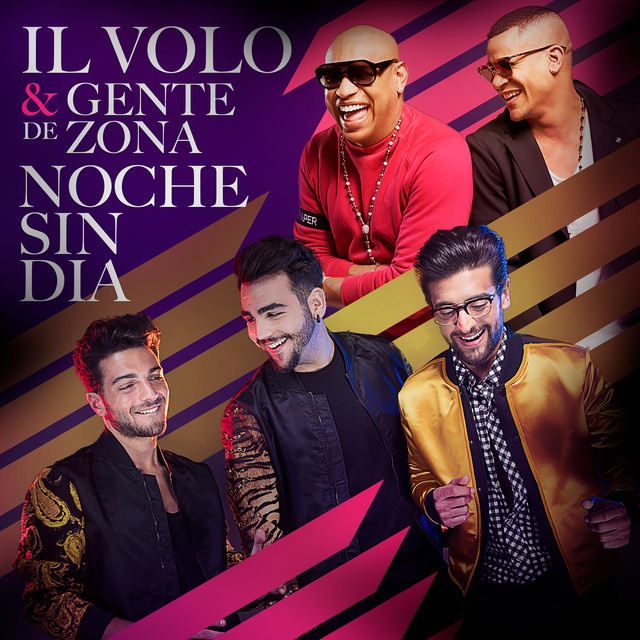 Also this event was published: Tuesday, January 29 press conference of IL VOLO where they will exhibit their projects for the year 2019 and 2020 ……….. surely they also talk about the tour !!!! But in the meantime our boys are certainly not resting. Yesterday they left for PANAMA for the WYD event. G = Just arrived at the Amsterdam airport, ready for this flight to Panama, about 12 hours, but it will be a magnificent experience. Follow us on this journey. P = Boys, we are in Amsterdam, we will soon board the flight to Panama, because tomorrow we will sing in front of Pope Francis, for the World Youth Day. Hello. Ignazio: Hi everyone! We’ve just wrapped up the shooting of “Musica Che Resta” video. Gianluca: This Saturday we’ll experience a great emotion because we’ll sing a very special “Ave Maria” for Pope Francis in Panama. Piero: As you know, when we’ll come back in Italy Sanremo Festival awaits us, to sing for the first time our new song. We can’t wait to present you, let you listen our new single “Musica Che Resta” on stage at the Ariston theater. In fact, two days ago the filming of the new video ended, little is known of it, but it seems to have been made in Milan. G = We are recording the video with a great director, Mauro Russo. MR = Come on Gianluca, you cannot say that we are recording the video, now we are not doing anything. G = Look what kind. We are doing a masterpiece. I am very excited! We will see the boys sing in front of the Pope and to thousands and thousands of young people from all over the world. Simply fantastic! At 6:30 pm (Panama time) today, the vigil in Panama will begin and the boys may sing. Sunday at 8.00 am (Panama time) there will be Mass, where our boys will sing the Ave Maria. For those who want to follow the live streaming please try the link below. Also, EWTN is carrying live World Youth Day coverage on their cable channel. If you don’t have that channel on your cable line-up you can view a live stream on the EWTN website. So, are you all ready for the great news of the next days? I am waiting for you all for the comments and your impressions. This spring I had translated some passages from the book of Torpedine, RICOMINCIO DAI TRE, and, seeing your great interest, I immediately translated the chapter about the night in which Ignazio did not return to the hotel. For fear of having some copyright problem, I wrote several messages on the Facebook page of Michele Torpedine, LA TORPEDINIERA, asking permission for publication. I have repeatedly asked for an answer but I have never had any, until September 7th. Since then I still waited in vain, and because in my last message I had reported that I would have posted anyway, I would say that, if there was a problem posting the story, they would have communicated it to me. I leave the post as I had set it a few months ago. We started to get to know the manager of IL VOLO a little better and we really liked what we read. The book RICOMINCIO DAI TRE, we recall that it was written by Michele Torpedine and published by Pendragon and distributed by LaFeltrinelli. The piece that I’m going to translate this time, speaks of the night in which Ignatius did not return to the hotel, the anxieties, the concerns of a manager, but also a great friend. Naturally I await your comments and impressions. A leap forward. Some time after. At night. A drama in which waiting is the solution. I am in a big city in the United States where my last new artistic creature – IL VOLO – is going to perform in one of the prestigious concerts of their first American tour. Just a few hours before we joked in a restaurant with the euphoria of the successes already collected, with that contagious good humor that the three boys of IL VOLO have never abandoned, in spite of a sense of responsibility necessary but almost excessive, considering that in their peers it is rare commodity. But that very responsibility in which I trusted so much, that night has cheated me. I should not have condescended on a tour of the city with friends known the day before. To think that, in spite of my suspicious nature, they had seemed right to me. Instead Ignazio has not returned to the hotel. His cell phone is off. The night goes forward and no news. Nothing at all. Piero and Gianluca, tired of the evening, left him a few hours ago alone with other friends around public places, a few drinks, some girls. The three of IL VOLO are very young and in themselves, it could be normal. In my case, of course, there was the managerial responsibility for the engagement with an audience of about 10,000 people. But perhaps it was only a question of staying apprehensive for a while and at most making him a stern rebuke when he returned, as his father would have done. But it is already three o’clock at night. The city is large and unknown. Ignazio is seventeen years old. Everything makes us think of the worst. Start the process of pragmatics with my staff: we look in the hospitals, let’s go to the police. No news. good news, say the British, but I’m not calm, for nothing. A part of my mind chases monsters, then makes them disappear, then again materializes them and chases them. The other part, perhaps to keep steady, retraces the first encounter with Ignazio and his parents, his bold manner of facing the scene, from Gascon, without fear. Yes, I think, now that I do not know where he is and I am responsible not only for his career, but also for his life: Ignazio is always sure of himself, he always knows how to face everything and everyone. Different was the meeting with Piero, the oldest of the three, who remembers me a little when I started, when I wanted a career as a musician. Finally, Gianluca, and the first impression with him, certainly wrong: that aspect of a fragile, emotional boy, contained instead a strong character and very clear and precise ideas. Meanwhile, no news yet. Needless to worry in advance, but now anger came. And what to do then? Warn parents or not? Make them worry, at a distance with nothing certain? It was not yet the case. But the concert? Cancel it? What economic damage would I have gone to? A part of my mind was milling this, asking and answering, building anguish and erasing it. But the other part, no. While the only solution was the wait, I thought that those three guys determined and prepared, they had saved me from depression and the desire to leave everything. Three teenagers, yes, but already great, in all respects. Already great since the first time I saw them. So my mind returned to that new beginning while I waited for Ignazio. Which fortunately reappeared, after that interminable night. And in the evening he sang as always, indeed, better than ever: wonderfully. Piero, Ignazio and Gianluca embrace Michele Torpedine, his brother Nino and his sister Liliana. Great Michele, we can imagine the worry that evening and the relief when Ignazio is back, dented, but safe and sound. That evening at the concert Ignazio wanted to thank all the crew and especially his friends-brothers Piero and Gianluca, making them a surprise with a video during the concert. For those who have not seen it, here it is, was made by people therefore not of excellent quality, people laugh thinking that Ignazio is joking, but we know well, now, what had happened. Very sweet. Today on many Facebook pages, the photographs of Ignazio have been published, in a children’s hospital, exactly at the pediatric ward of the S. Orsola Hospital in Bologna. Every year Ignazio makes this visit to sick children. He’s a boy with a heart of gold. The photos were posted by the doctor Salvatore Santoro. Often there is little information from Ignazio, and so one thinks that he is a boy that is sometimes a little grumpy. Then you see these gestures and you understand that he is a really special guy! It is not the first time that Ignazio makes such a gesture, in fact remember that a year ago, in the same hospital, Ignazio donated a machine that serves children with diabetes. A gift that he personally made to thank the hospital in Bologna that took care of, long ago, the mother of Ignazio, suffering from cancer. The donation of the machinery took place at the end of January last year, during the inauguration of President Trump in the White House, the journalist asked Ignazio if he did not go to the event in the US because he had to deliver this machinery. Here’s what Ignazio answers. I = I sincerely think that being here is very important, it is not “the usual thing” to sing for the President of America, but here it is really like being close to children. Then of the hospital S. Orsola I am fond, because my mother many years ago had a tumor and was treated here. Now that I have grown up, thanks to my parents, I had a little luck. My thought was to help the hospital that helped my mother, so it’s an honor for me to stay here and contribute to this gesture. A really UNIQUE, SPECIAL, MODEST boy. Were you aware of last year’s donation? Meanwhile, our boys who have just returned from Lebanon left for Slovenia. Have a nice trip, come back soon! Today is Ignazio’s turn. I found this video, shot immediately after the Sanremo victory. The entire city council and the whole city of Marsala gave a beautiful recognition to a very happy Ignazio and he does not lose his sense of humor. The city council expresses all the satisfaction of the city for the great goal achieved by the fellow citizen Ignazio Boschetto who, as a member of the trio IL VOLO, has won the 65th edition of the Sanremo Festival. (applause and again the girl’s voice “Bravo my love……..fantastic”). “The city of Marsala, the gold medal to the civil value to Ignazio Boschetto, member of IL VOLO, ambassador of the city of Marsala in the world. The president of the City Council, Enzo Sturiano, city of Marsala, 18 February 2015”. ( photo and then the anthem of Italy sung by the whole crowd). IGNAZIO = There would be many things to say, because it’s really unexpected, starting from a small city like Marsala and starting to study a little for fun, and then after 11 years, you’re ambassador of your city, so it’s really something inexplicable, it is also difficult to explain the emotion, but what I can say and that in recent years, sometimes I was also criticized by Marsala, people thought I was a haughty guy, who had found the opportunity to go on air to Rai1 and has become who knows what!! What I have learned, and I do not want to be a teacher, is that before judging a person, one must know him. (applause). The problem we have today is that many people judge immediately, instead of doing the actions, we all judge and say only words. In fact here today, I came with a friend of mine, he came to my house. I unfortunately was not there, but then at home we talked about it, it’s this boy here . . . get up. Well, this guy is Italian boxing champion right? Lately I’ve heard people say that Marsala has recently forgotten about her talents and is only interested in me. Instead I hope that Marsala is aware, even of these small but great realities, that they are like him in boxing and many other people in all sectors, because Marsala is full of talents. What I wanted to tell you, is that I am the first who would like to have a friend ambassador in fact, I’m the first one who would like to share the emotions with another person, but I think that many people speak only to talk, and to get out the air from their mouth. I wanted to say thank you, because in recent years I felt supported by Marsala, and, apart from the politics there is, with Enzo there is a great friendship. I have always pulled back with regards to politics because in my position it is always better to avoid, but with Enzo there is a friendship that goes beyond politics, it is a beautiful person. And then there are all of you here, I think that in the end there is always something that unites us, in this case THE MUSIC unites us all. We may be acquaintances or friends, but in the end we are all the same, we are all in the same place, so sometimes I think there is no need to make any difference. I would not run a city ….. I must be mayor of my life, first of all. Thank you very much for this nomination, I am truly honored and I hope I will never disown this nomination, because it is really nice to be ambassadors of your city and I hope to always bring prestige to this city. Man = You have the keys to the city. IGNAZIO = I think that in Marsala we have many beauties, there is the Stagnone (a reserve with natural landscapes, there are also salt pans), but I think that first of all the inhabitants of Marsala have to take care of it, because if all the inhabitants of Marsala will take care of all the things we have here it will increase tourism, it will increase the number of people who will come only for a weekend. So I think we are an important part of a new economic and tourist recovery in Marsala. Interviewer = I spoke with Mr. Tony Renis, he complained that none of the boys contacted him to announce the victory of Sanremo. IGNAZIO = Obviously there is controversy. Like any relationship, over time …. when the glass breaks, it breaks. Critical aside, I do not want to think about it, we won Sanremo and it’s a nice emotion, and I want to enjoy it at the limit of everything, so I let it slip away. IGNAZIO = Marsala has a population of warm people, when you come back to Marsala, you never feel alone, there is always the person who makes the joke, that makes you laugh, maybe, if you go to Milan and it’s a little more difficult to find people like that. But as I said before, maybe we should have more respect for our city, because we know that we have a beautiful city and we think only to exploit it but not to preserve it. It’s something that does not belong to me. I have always said that I do not like giving preferences, however, I have a person here next to me that is very valid. I say only this, and in friendship I can say that I hope that all of Marsala will understand what this man can do, politically speaking, I’m for nobody. Follow the images of the crowd outside the Town Hall, all sing Grande Amore with Ignazio, a woman imparts to him the wrong words and Ignazio scolds her and everyone laughs. I believe that night all the citizens of Marsala felt proud of Ignazio. They filled the municipal hall and also the whole square in front of it. How fun to hear the whole square that sang the verses of Grande Amore, which only a few days before had won Sanremo. But the thing that struck me the most were the answers of Ignazio, clear and mature answers, of a serious, honest boy who does not want to obscure the success of other people. This is simply Ignazio, one of the three jewels of IL VOLO. A few days ago was Ignazio’s birthday and my friend Valeria Bosch wrote a beautiful post. Once again Valeria interpreted our thoughts and managed to analyze some of the attitudes of our dear Ignatius, who certainly did not escape those who love him. What makes us feel so much fondness, so much affection, so much continuous interest for a public figure, be it actor, singer, writer or other? Of course, first of all is the emotion that he knows how to communicate to us with his art, the feeling of enchantment and uniqueness that he creates around him, and, of course, also what means a lot is his physical appearance, his way of posing himself, what in short is commonly called “body language”. But what do we really know about these characters? If we want to know them in depth, we must not rely on the tamed, plasticized official biographies or even the news we read in newspapers and mass media, always affected by interested intentions, positive or negative, but we must rely only on our eyes, on our ability to observe, especially small details, signs that can act as a litmus test to define with confidence the personality of our darling. So I did for Ignazio, intending to pay him a tribute for his 24th birthday: I closed my eyes and I tried to review, among many images that crowded in my mind, some moments, some gesture that could work as a mirror or introspector for understanding his feelings, his intimate reactions. And I share them here with you, chronologically rearranged, although obviously this is not the sequence with which they resurface to my memory. We are at “TI LASCIO UNA CANZONE”, the guys (future “IL VOLO”), from soloists who were, have recently been composed in a trio that debuted with “ ’O sole mio”. Antonella Clerici, who admires the three teenagers , says to them with great affection: “In short, they already call you ‘the three tenors’ – which of you is Pavarotti?” The three little boys, frightened and awkward in their little clothes, remain silent. Only Ignazio, the most plump, manages to murmur with a voice that barely comes out, almost choked: “We do not know ……” A boy a more grown up would have responded with a joke or a brilliant answer. He takes seriously that strange question, still unaware of the incredible future that fate was preparing them. 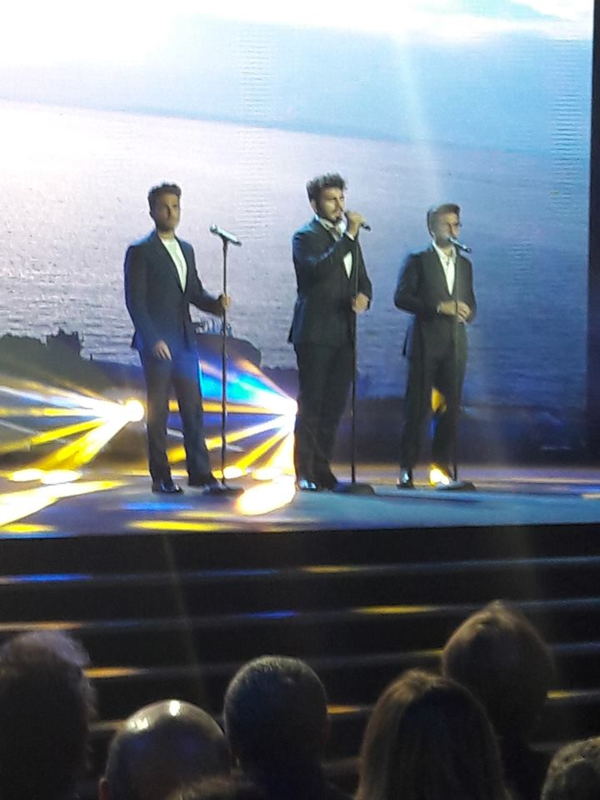 It is the evening of 11 February 2015 and the trio Il Volo has performed for the first time on the stage of the festival with “Grande Amore”. As soon as the performance is finished, the audience snaps up and gives to the very young singers a resounding and interminable “standing ovation”. An applause never seen in Sanremo at the first performance, a round of applause that leaves them breathless: Piero is annihilated, cannot even grumble thanks, Gian (who turns 20 that day) breaks out in tears and takes refuge on the shoulders of Carlo Conti, Ignazio tries in every way to cope with the situation, thanks the audience, but, just like a happy child, he cannot help but let slip a smile, which he covers childishly with his hand. It is a gesture of infinite tenderness, which I will never forget. During the concert at the Forum Mediolanum of Assago, 29 January 2016, Ignazio performs as a soloist the wonderful song by Pino Daniele, “Alleria” – a cry that rises from a sad soul, who suffers a lot for love and continues to suffer, despite the passing of time. Ignazio is in symbiosis with Pino, it is as if he had tattooed it on the heart, in the head, on the skin: he interprets the song with such force, such an identification that, at the end of the execution, he cannot hold back the tears. The intensity of the interpretation has overwhelmed him, his emotion is true and profound. Tears are the testimony. On 3 May, in a long 4-hour interview, the boys met with Red Ronnie. An evening of positive sign, jokes, joy, interaction with fans of all the continents. The old musician was amazed in the face of fame and the international success of the three boys, and of course, also confidences, revelations, work projects. Ignazio as usual is the fool, jokes, not standing still for a minute, makes Red desperate because it causes a small failure to a precious jukebox that stands in the studio. But to specific questions of Red, responds to questions with an unexpected and disarming sincerity. The person Ignazio most loves in the world? His sister, who acted as stand-in mother and a reference point in the sad period when his mother was forced to long absences to cure a serious illness. An Ignazio, in short, who is very mature and very sincere. The portrait of Ignazio that emerges from the small episodes recalled here is that of a boy with disarming sincerity, not yet counterfeited or “corrupt” from the environment in which he is forced to live for work. Contrary to what is his outward attitude, especially on the stage where he is lively and restless, often comedian and joker, is a serious and concrete boy. He once said, “The first thing for me is to stay down to earth.” But Ignazio is also very emotional, strong and fragile at the same time. His particular sensitivity leads him to live emotions in a profound way, with an intensity that puts everything in his song, and it is precisely for this reason that he manages to establish a special pathos with the audience. For him, music is everything. When he closes his eyes and sings he seems to leave for distant lands, of which only he possesses the key of access; music is his second skin, and it is perhaps also for this that he has made contact with Gian and Piero, who are certainly not less, a perfect artistic and professional alliance!